Last Wednesday I was tagged by the marvellous writer Lesley Cookman for my Next Big Thing. This week, it's my turn to answer the following questions and tag a few other writers in my turn. 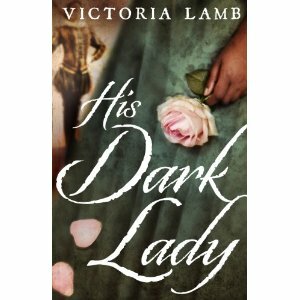 His Dark Lady is the sequel to The Queen's Secret, which introduces a semi-fictional character, Lucy Morgan, against the backdrop of political and sexual intrigue at the court of Elizabeth I. This new book continues Lucy's life story as the tension between Elizabeth and her cousin, Mary, Queen of Scots, comes to a head. If you'll excuse the pun. I don't have a clue. I would think any good character actor would be brilliant in any of the key parts. Will your book be self-pubished or represented by an agency? It will be published by Transworld, part of Random House. It will be out in late February, and you can pre-order it here. I tend to edit and polish as I go along, being a pernickety perfectionist, so I don't really do 'drafts'. However, from start to submission of manuscript was about six months. Then editorial revisions took another month, roughly. I don't know any other books like the ones I write. Not exactly like them, anyway. They're a combination of historical fiction with spy thriller elements. To quote Lesley Cookman, my bank manager. My heroine is a black lady-in-waiting to Elizabeth I - based on a real person of the same name, with some imagination employed to sketch out missing details - who was raised by a spy and seems destined to become Shakespeare's 'Dark Lady'. How's that for piquant? Katherine Garbera, a friend of mine from Leicester's RNA Chapter (though I've now moved to Cornwall, I still keep in touch with my Midlands writing buddies) who writes for Harlequin Mills & Boon. You can find her books here on Amazon.com or on Amazon.co.uk, and here is Katherine's very gorgeous website. Francis Potts, a fellow NaNoWriMo writer from the Cornwall region, who blogs here. Alison Morton, a writer who's been an RNA buddy of mine for several years, and who lives most glamorously in France. Her blog is here. RM Ivory, who writes for children and young adults, and blogs here. Currently at work on her sixth book. Not sure I live a *glamorous* life here in France, Jane. Love your answers, I only hope I do as well.